Flutter London User Group Meetup is part of London's burgeoning mobile developer community. 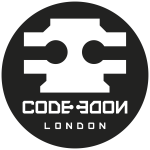 Join us to meet other London Flutter Developers. We’ll be presenting new developments in the Flutter and Dart platforms, new frameworks, advanced animation techniques for great user interfaces, new metrics, and of course, great new Flutter apps! Sorry, looks like FlutterLDN haven't got any events scheduled for the moment!